Once again, I was inspired by Melissa of My Cake School. She posted an American flag cake using simply buttercream frosting and a clam tip. It looked so pretty, and simple too. Definitely a "must make"! 1. Whip up your favorite sugar cookie recipe. 2. Purchase (or make) buttercream frosting. 5. Using the #18 tip (Melissa used a #21 tip for her cake), pipe blue rosettes. 7. With a #3 tip, apply small dots on the blue area to represent the stars. TA DA! Let's hear it for the red, white and blue! I love these cookies. Frosted sugar cookies are the best, in my opinion. How love how festive they are. Pinning! Wow these look great! Such neat piping!! I love using this design when I need something quick and easy. Plus for me it's a way I don't have to clean the edges of my cookies! 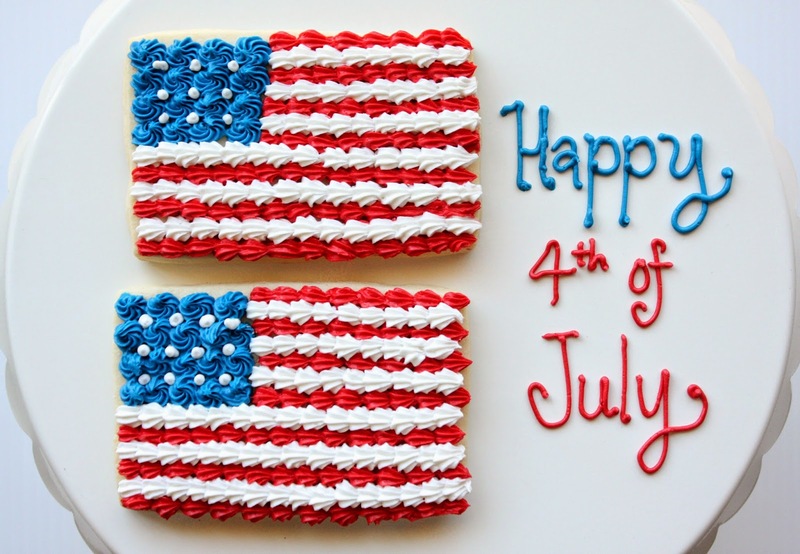 Your flag cookies are so fun and festive! These are so fun! And easy. Easy is good when it comes to holidays. :) They turned out so great! Love 'em! How patriotic look! Awesome cookies, easy and delish! I love the use of the star tip! You gave the cookies a great texture that looks AMAZING!! 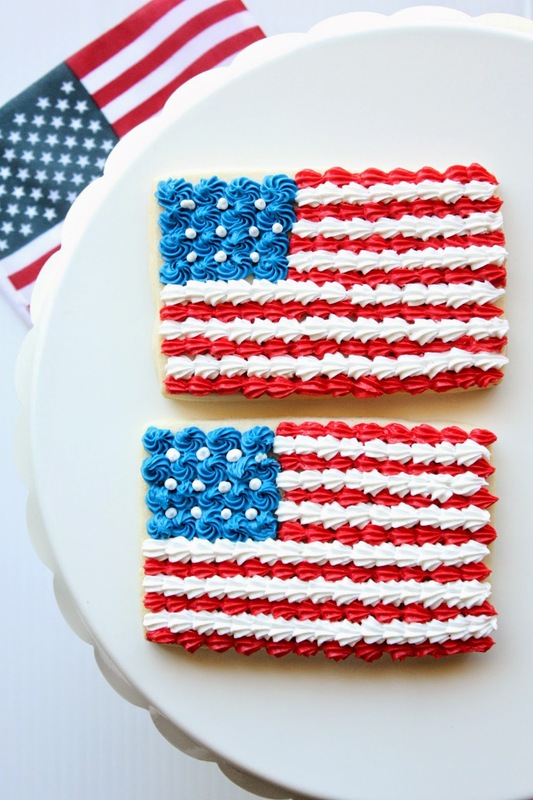 These cookies look so great and very patriotic, I can't believe how easy they are. Really cute. You did such a good, and straight, job! Cute! Definitely need to pin these so I have them for next 4th of July!